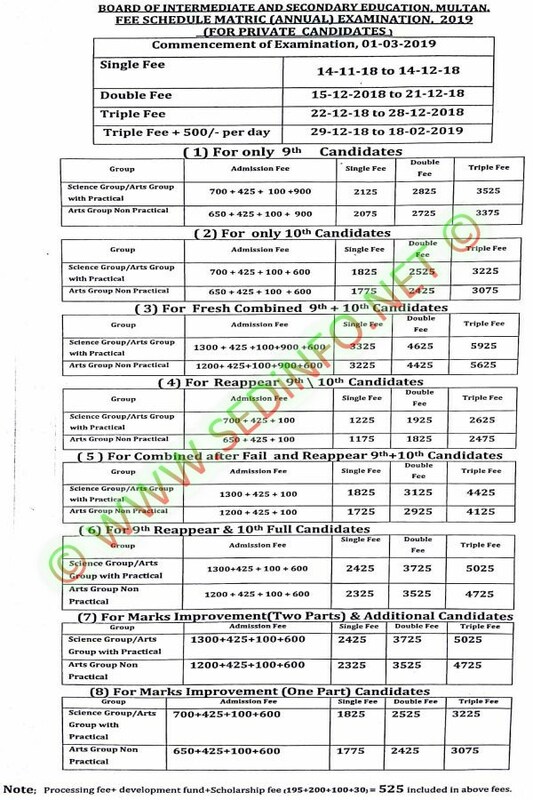 Here you can find BISE Multan Fee Admission Schedule Matric Annual Examination 2019. BISE Multan starts Matric / SSC 2019. Complete information regarding BISE Multan 9th and 10th class admissions 2019. Board of Intermediate and Secondary Education (BISE) is responsible for conducting 9th and 10th class exams. At the same time, all know that 9th class and 10th Class BISE hold annual exams normally before Intermediate exams. 9th class and 10th class board exams phase is the difficult phase for the aspirants. As they appear in the board exams for the first time. And they are bit nervous about that how to prepare for the exams excellently. According to BISE Multan notification, admissions starting from 14/11/2018. Online admission application can be submitted from 14/11/2018 to 14/12/2018 with single fee. With double fee admission application can be submitted from 15/12/2018 to 21/12/2018. While with triple fee admission application can be submitted from 22/12/2018 to 28/12/2018. Tags: 9th admissions 2019, 10th admissions 2019, regular 9th admission 2019, regular 10th admission 2019. Private 9th admissions 2019, Private 10th admissions 2019, fee schedule matric classes, fee schedule 9th class, fee schedule 10th class. 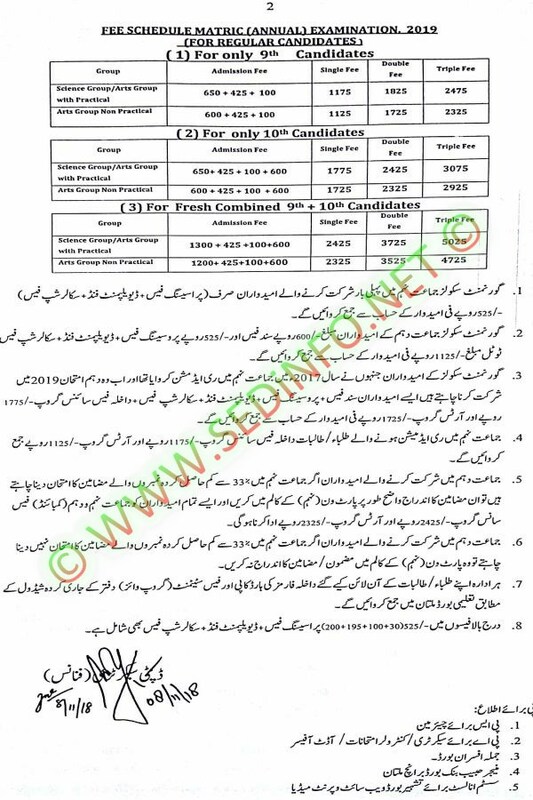 Multan board 9th and 10th admission 2019, BISE Multan Fee Admission Schedule Matric Annual Examination 2019.